OR £11.63 per week 0% APR ? 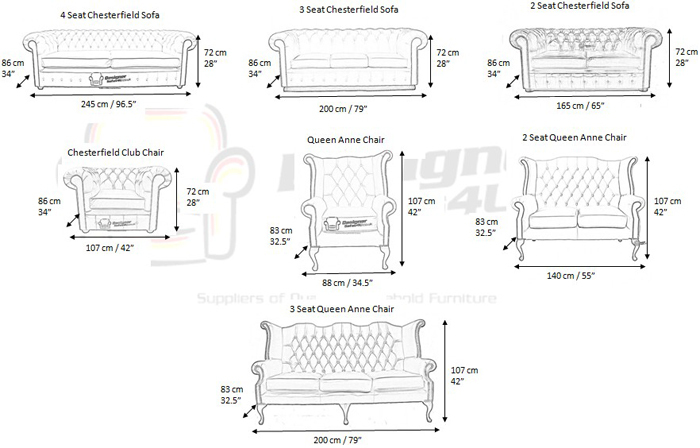 What I like the most about Chesterfield Buckingham Club Armchair is that it has a very trendy yet traditional look. The beaded detail on the sides makes it look really luxury, extravagant kind and the cross button style gives it a traditional style. I love the colour patches in the leather! I love leather because it is strong and durable unlike cloth cover for sofas and chairs which wears out in no time! Instead life of leather is much longer and you do not need to clean it too often! Plus you get 10 colour choices here and you can choose just any colour you want.